The BBC has been criticised for its response to complaints over insulting comments made by presenters of popular motoring show, Top Gear. The corporation was forced to apologise to the Mexican ambassador last week over remarks on the motoring show branding Mexicans ‘lazy’, ‘feckless’ and ‘flatulent’, but also defended the show's presenters, saying national stereotyping was part of British humour. But the programme was back in the news today again with suggestions of improper use of national stereotypes, this time directed at Albania. Alan Twigg, managing partner at Seventy Seven PR, suggested the BBC’s response was ‘weak’. ‘In the light of the Gray and Keys situation, this is now getting to be an alarming area,’ he said. ‘Someone needs to be definitive and say this is acceptable and this isn’t and I think it’s got a bit woolly and therefore lots of people are terrified to say anything. Mark Stringer, founder of PrettyGreen, said: ‘The BBC is as always under exceptional scrutiny, and there is a fine line between what is humorous and what is offensive. However, we need to be careful that we're not moving towards a totally moderated media state where entertainers are banned from dancing around that fine line. In the latest episode of the popular motoring show, Clarkson and co were filmed in Albania to road-test cars for a mafia boss. 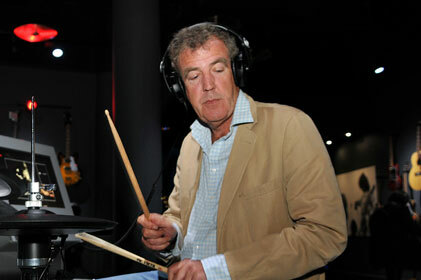 ‘Apparently, what happens is Albanians go to England, get a job, buy a car and then bring it back with them,’ Clarkson said in one part of the show. Writing in The Observer at the weekend, comedian Steve Coogan weighed in on the BBC, calling Top Gear's humour lazy and its presenters ‘three rich, middle-aged men laughing at poor Mexicans'. ‘The BBC's initial mealy-mouthed apology was pitiful. It cited the more benign rivalry that exists between European nations (ah, those arrogant French, over-organised Germans), and in doing so neatly sidestepped one hugely important fact – ethnicity,’ wrote Coogan. Maverick spokespeople - a blessing or a curse?